World premieres abounded, boutique musicals thrived and revivals continued arriving in the 2015 year of musical theatre. Melbourne’s music theatre year began with two large-scale productions that both played for many months. The Lion King occupied the Regent Theatre for most of they year as a new generation of young theatregoers discovered the magic of this timeless production. The long season may have contributed to the fact that The Lion King Melbourne is the most popular music theatre review on Man in Chair to date. Global Creatures showed great support for Strictly Ballroom (below) by maintaining a long season at Her Majesty’s Theatre. Nipped and tucked after its Sydney season, the show was a decadent guilty pleasure, easing the guilt by offering $45 rush tickets to all comers two hours before curtain. The show had some naysayers, but the staging was one of the grandest ever seen locally and the exceptional cast gave it their all every night. Strictly Ballroom would surely be a smash hit on the West End, so hopefully it plays it there before long. 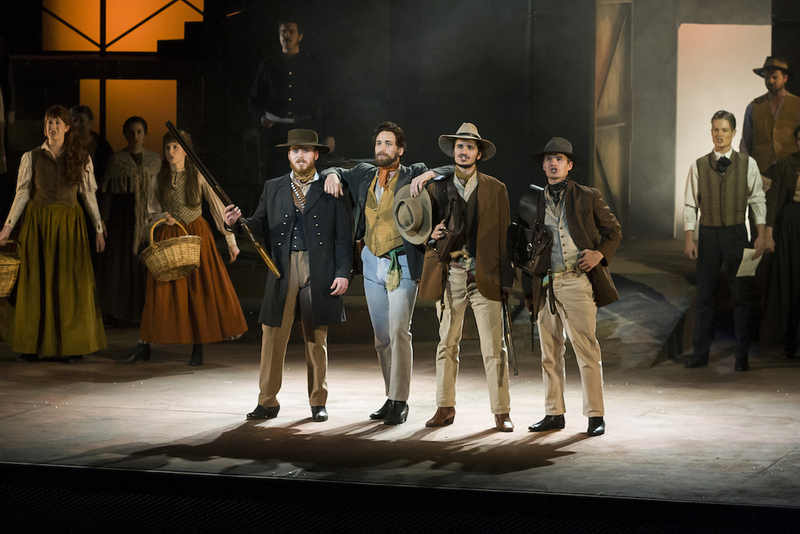 2014 hit Les Misérables continued its Australian tour, with excellent solo albums released by stars Simon Gleeson (Elements) and Patrice Tipoki (A Musical Heart). Les Mis also occasionally offered $45 rush tickets. This welcome practice from big musicals may not continue in 2016, however, with the move to shorter seasons in each city. Ever popular Cole Porter musical Anything Goes (below) returned in a staging that was somewhat low on production values but very high on talent. Caroline O’Connor and Alex Rathgeber were well deserving Helpmann Award winners for their performances. The tour of Rocky Horror Show made its way back to Melbourne, with lead performer Craig McLachlan’s completely over the top performance as Dr Frank-n-Furter being crass and self-indulgent to the point of being unwatchable. 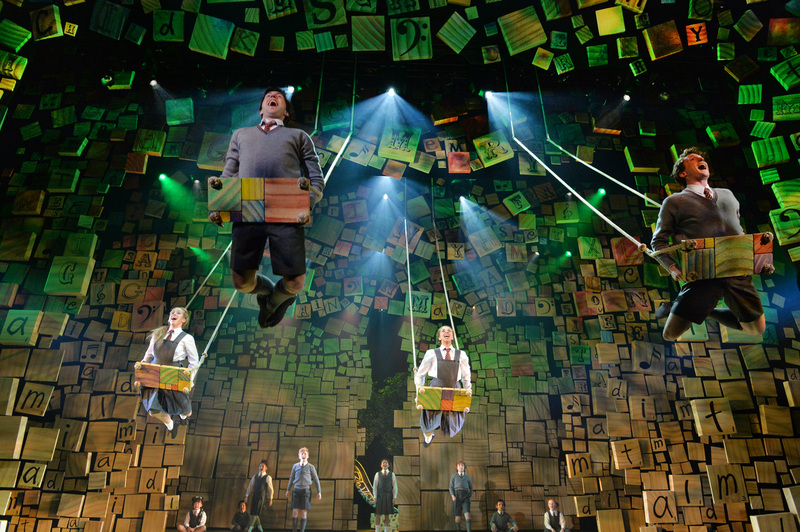 The commercial standout for the year was West End and Broadway hit Matilda (picture at top), which electrified Sydney audiences with its high energy and dark wit. An outstanding local cast performed on a glorious set that was, for once, bigger than the overseas versions. The Melbourne season this year is highly anticipated. The year ended with a flurry of commercial openings. Evergreen classic The Sound of Music opened in Sydney with a charming cast led by radiant star Amy Lehpamer, and a set that is highly attractive, if somewhat smaller in scale than the London Palladium production on which it is based. The latest Cats tour opened at Melbourne’s Regent Theatre, with an exciting ensemble cast of triple threats and, as with the recent London revival, a pop star in the featured role of Grizabella. The music of Cats had been updated but the set was from an older production. 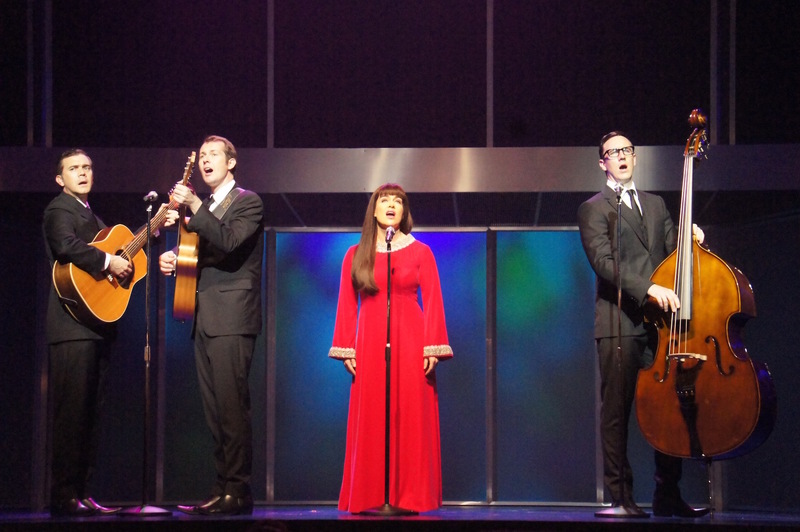 The wonderful harmonies of The Seekers were heard in Georgy Girl (below), which had its world premiere at Her Majesty’s in Melbourne. The Production Company had a sensational return form in 2015, beginning with an absolutely thrilling season of West Side Story (below). Melbourne star Anna O’Byrne returned from London to dazzle as Maria. The production illustrated the term triple threat, with Anita acted and danced on stage by Deone Zanotto (who had been struck with laryngitis), while offstage singing came from Amanda Harrison and dialogue from Natalie Gilhome. Fortunately Zanotto made a full recovery before the season was over. The Production Company’s Australian premiere of recent Broadway musical Nice Work If You Can Get It was a crowd-pleasing hit, with audiences loving the classic Gershwin tunes and the daffy comedy of the plot. George Kapiniaris revealed terrific musical comedy skills in a co-starring role. Following these two successes, Jerry’s Girls was, unfortunately, a disappointment, presented with a sensational female cast but tainted by an indulgent directorial concept that erased the original intent of the revue and provided a very hit-and-miss delivery of the classic Jerry Herman songs. 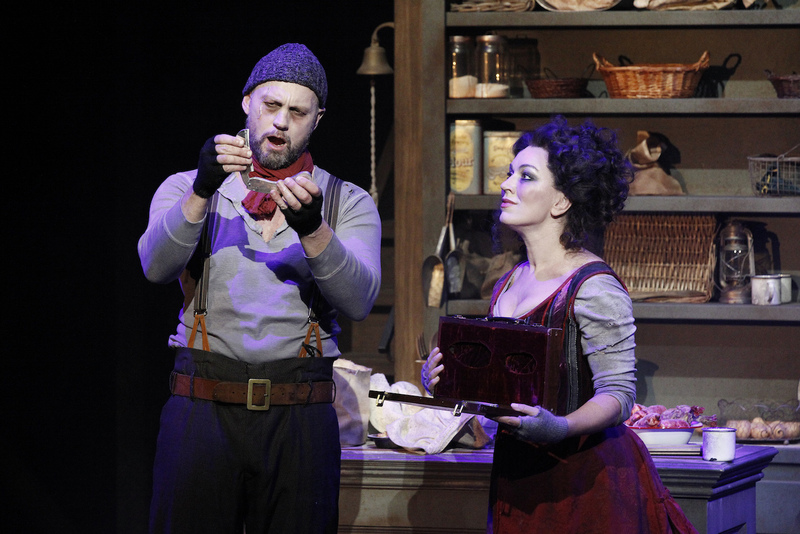 Victorian Opera completed their three-year Sondheim trilogy with a terrific production of Sweeney Todd (below). Opera star Antoinette Halloran shone as a glamorously sexual Mrs Lovett, with powerful opera baritone Teddy Tahu Rhodes not crossing over quite as easily to the world of musical theatre. The boutique musical scene continued to thrive, parting the sea of revivals to present interesting, compelling, quirky shows featuring breakout performances. In their second year, Life Like Company assembled a sensational cast for City of Angels, a classy, adult musical that thrilled for an all too short season at the Playhouse. 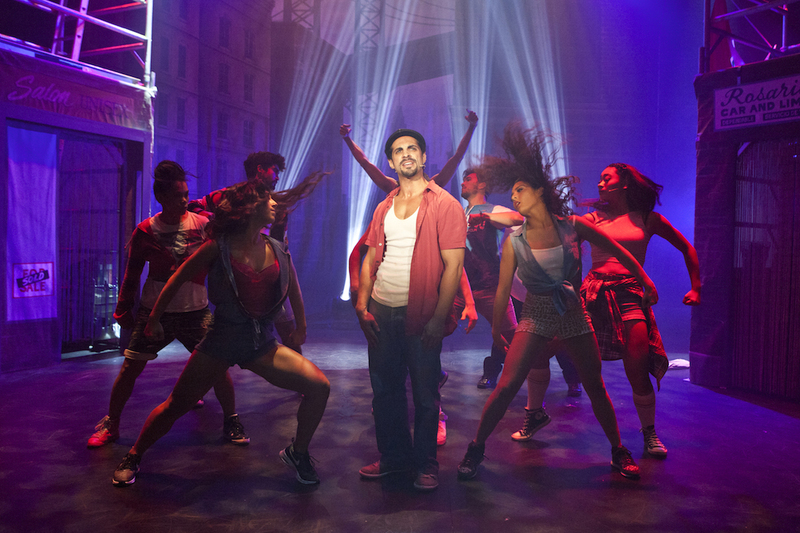 StageArt gave us the musical we never thought we would see locally, with a sensational staging of Lin-Manuel Miranda’s In The Heights (below). The production and its terrific cast of triple threats make a welcome return in 2016, this time in the massive National Theatre rather than the intimate Chapel off Chapel. StageArt also presented the legendary, but rarely seen, musical Dreamgirls. They also found time and energy to create original revue A Super Brady Cabaret, which was super cute fun. Chapel off Chapel also hosted Pursued by Bear’s production of charming two-hander John & Jen. Motherhood was celebrated in Amity Dry’s Mother, Wife and the Complicated Life. Enda Markey presented a very well received production of Willy Russell’s poetic musical Blood Brothers in Sydney and Melbourne. Helen Dallimore was a luminous Mrs Johnstone, and Bobby Fox showed his dramatic range as Mickey, with Blake Bowden as toffy twin Edward in Sydney and Josh Piterman in the role in Melbourne. Hayes Theatre Company brought their acclaimed production of Sweet Charity to Melbourne, and showed that the hype was very well justified. Georgy Girl was not the only world premiere musical for the year, with classy new musical Ned (below) premiering at stunning new venue, the Ulumbarra Theatre, Bendigo. Composer Adam Lyons and book writers Anna Lyon and Marc McIntyre have created a stirring musical that all Australians should have the chance to enjoy. Staging and casting were on an impressively confident scale, and director Gary Yong (who, coincidentally, also helmed Georgy Girl) brought the epic tale to life with lively energy and compelling characterisations. Xavier Brouwer’s brand new musical Grey’s Lobotomy provided laughs first at the Kaleide Theatre then at the Alex Theatre. A hit for Queensland Theatre Company in November, world premiere Tim Finn musical Ladies in Black makes its eagerly awaited Melbourne debut at MTC in January. 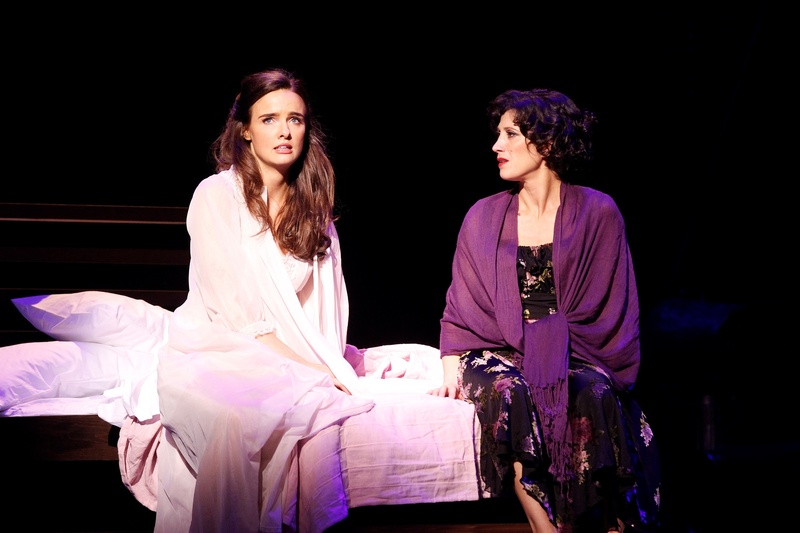 Blue Saint staged Violet (a recent Sutton Foster star vehicle on Broadway) at Sydney’s Hayes Theatre. A Melbourne season is on its way in March at Chapel off Chapel. Melbourne and Sydney were blessed with a visit from reigning Broadway royalty for An Evening with Audra McDonald. A quick visit to London in January finally brought the chance to see Kander and Ebb’s scathing racism revue, The Scottsboro Boys. Hit machine Menier Chocolate Factory delivered an enlightening take on Assassins, featuring US star Aaron Tveit in brilliant form as John Wilkes Booth. The Donmar Warehouse presented a sold out season of City of Angels with an incredible cast of stars who could each have headlined shows on their own. 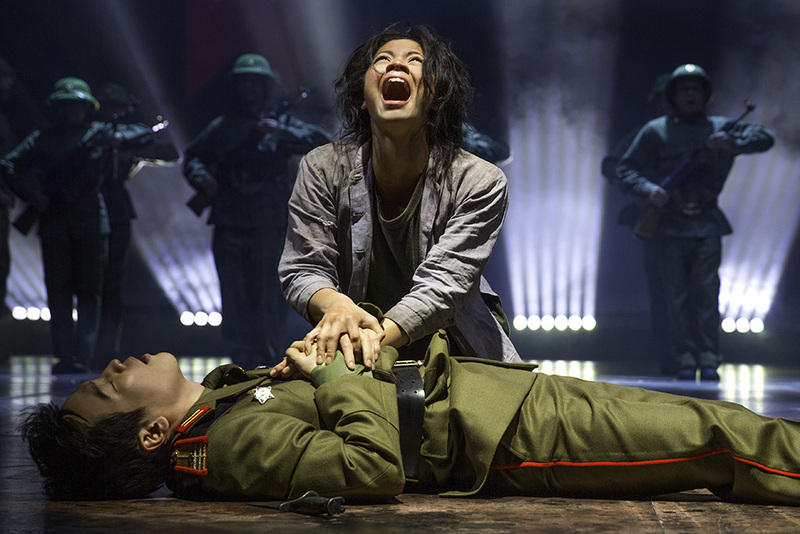 The era of the British mega-musical was back, with an even bigger staging of Cats and a new production Miss Saigon starring stunning new discovery Eva Noblezada as Kim (below). 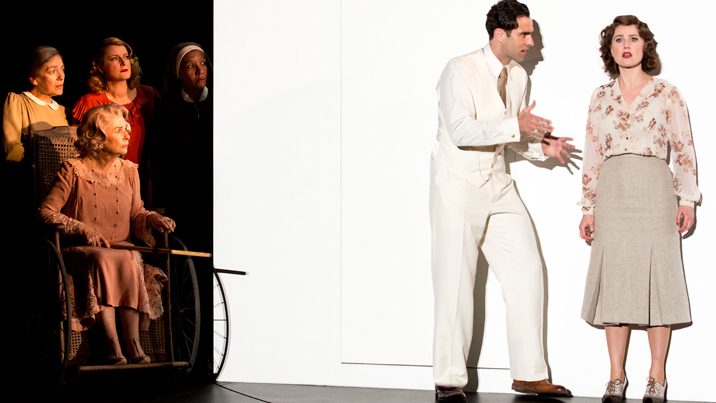 The big West End hit musical of the year was a revival of Gypsy starring Imelda Staunton. Fortunately, the production was filmed for broadcast on television (27 December 2015 in the UK). Broadway introduced a bumper crop of new musical productions, with a solid number still playing at the end of the year. Have just had a re-tread of our own revival, Australia is unlikely to see the sumptuous new revival of The King and I from Bartlett Sher and his creative team. On her sixth nomination, Kelli O’Hara (Anna Leonowens) finally won a Tony Award for Best Actress. 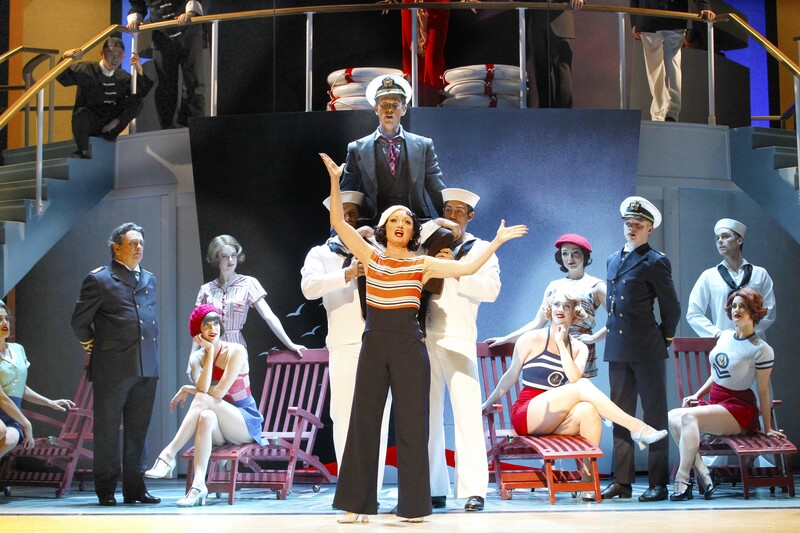 A slick new production of On The Town attracted tourists and patriots to the massive Lyric Theatre. Daffy operatic-like comedy On The Twentieth Century played a fixed-length season starring Kristin Chenoweth, in divine form, and Peter Gallagher. 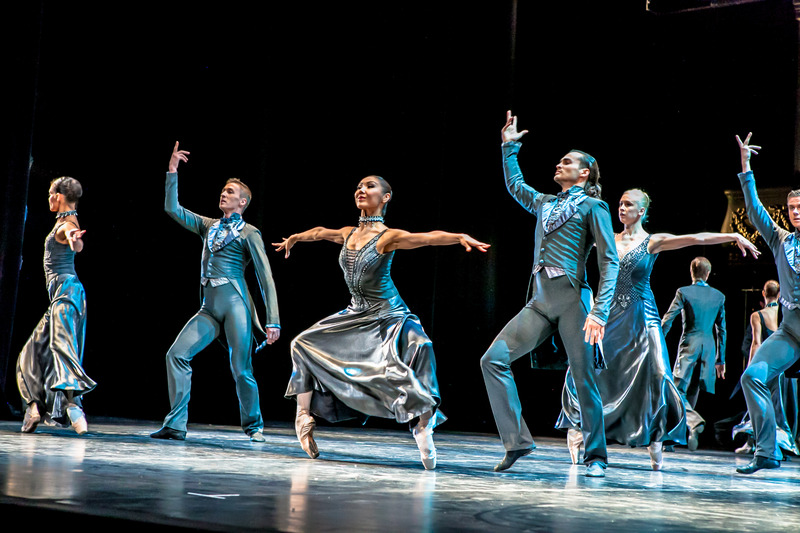 New musical An American in Paris (below) featured an extraordinary amount of dance with its glorious Gershwin score. Ballet stars Robert Fairchild and Leanne Cope can really sing, with Fairchild in particular proving to be a charismatic leading man. Honeymoon in Vegas, another movie adaptation, showed that Jason Robert Brown could write a good old-fashioned musical comedy. Harvey Weinstein’s production of Finding Neverland defied the critics and the rose above the Tony snubs to attract an appreciative audience. Anthony Warlow subbed for Kelsey Grammer for 12 weeks in the mid-year. 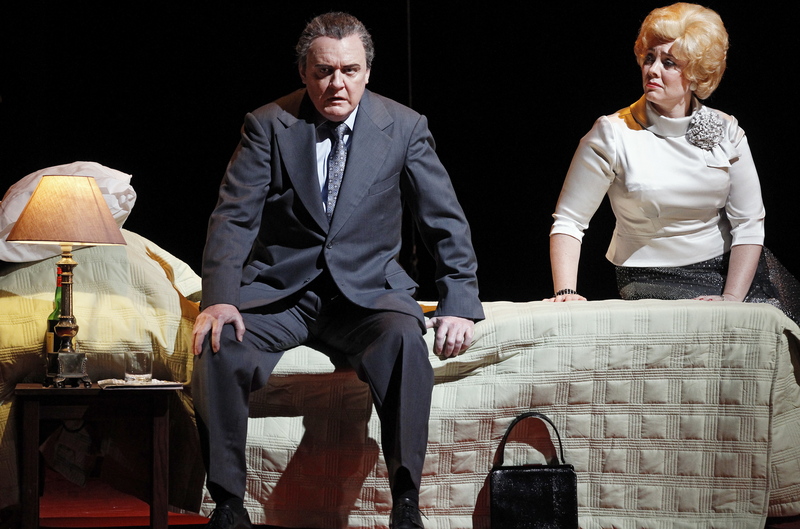 Lerner and Loewe’s Gigi briefly returned to Broadway some 40 years after its debut. Epic musical Doctor Zhivago appeared even more briefly on Broadway in the same production first seen in Australian four years ago. Dramatic Disney musical The Hunchback of Notre Dame came as close as New Jersey but did not make it to Broadway. At least a cast recording has been made to preserve the score. Bawdy musical comedy Something Rotten continues to draw the crowds. Gentle wedding day comedy It Shoulda Been You was appreciatively received if not particularly ground-breaking. Legendary star Chita Rivera returned to Broadway in The Visit, the final new musical from Kander & Ebb. Respected actor Roger Rees opened in the show, but, sadly, died of a brain tumour not long afterward. Fun Home won the Tony award for Best Musical, but its downbeat nature did not impress Man in Chair, who believes all the attention is just Broadway congratulating itself for trying new subject matter. Always great to see what other people liked, and did not! I can’t agree with you AT ALL re Fun Home, but hey, it would be a dull old world if we all saw things the same way. Love your passion! Wow! What an extensive, exhaustive, mind-blowing roster! Incredible work, Simon! I salivate at the thought of the 2016 list! Fantastic job–as always. Thanks Mark. Glad I’ll be able to include Hamilton in my 2016 roundup. Meanwhile, excited to heading to London next week. Happy New Year! There were many delights in 2015 Musical Theatre. I would say some of the year’s highlights were “Next to Normal, Violet and Rent” at the Hayes Theatre in Sydney. Best production of the year would be the revival of “Les Miserables” with standout performance of the year from Hayden Tee as Javert. A big round of cheers for me goes to “Sinatra – A Man and His Music” staged at the London Palladium last year – such an amazing tribute to the man himself. Thanks for sharing your Sydney highlights Jason. Wish I could visit there more often. Was lucky enough to see Violet though – perfect sized show for the Hayes, really enjoyed it. So excited for Hayden Tee to be heading off to Broadway to play Javert. Lucky you visiting London. I hadn’t heard of the Sinatra tribute but if it was at the Palladium it must have been massive. I’m heading off to London next week. Lots of shows booked. Can’t wait!